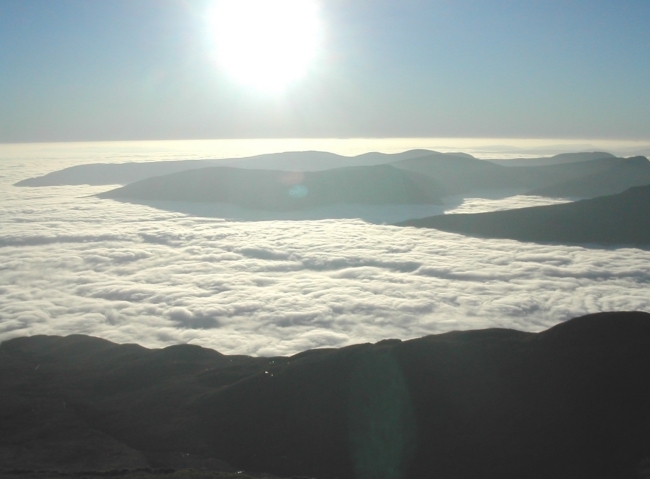 Paddlepower and Adventure can also offer summer and winter hillwalking. This can be anywhere in Scotland, but mainly based in the beautiful Loch Lomond and Trossachs National Park. We can provide equipment if needed, and can tailor the experience to your requirements, focussing on aspects such as navigation, expeditioning and the environment. We can provide a range of walks from gentle strolls to multi-day expeditions - it's your choice. 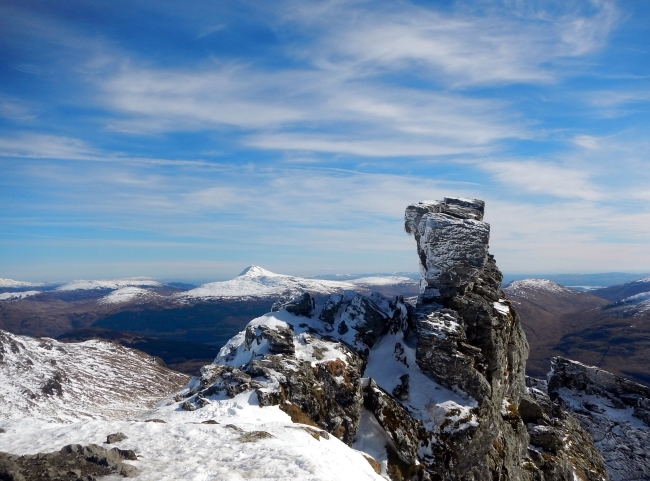 Also for thrill-seekers, can provide single pitch rock climbing and abseiling in and around Glen Croe near Arrochar. Choose from half day or whole day sessions. Below you can find our grading system for hillwalks which will give you an idea of which level is suitable for you and your group. There is also a list of example walks that are on offer. This is only a guide, so if you would like a walk that isn't listed please contact us for a chat. Any half-day walk over easy terrain with no more than 400 metres of ascent. Full-day walks on moderate terrain with no more than 900 metres of ascent. Longer walks of at least a full-day, and those including an overnight camp, or undertaken in winter conditions. Beinn an Lochain, from Rest and Be Thankful - short, but steep! Typical price for a full day in the hills is £160 for a group of 4-8 people, but please ask for a quotation for your chosen day. Click Course Programme to check on forthcoming mountain days.